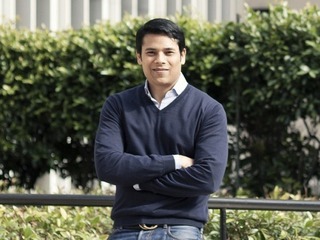 Nextdoor is a company that has a laudable mission: to bring neighbors closer together. Sadly, there has been another, less savory aspect to the site that has popped up: racial profiling. 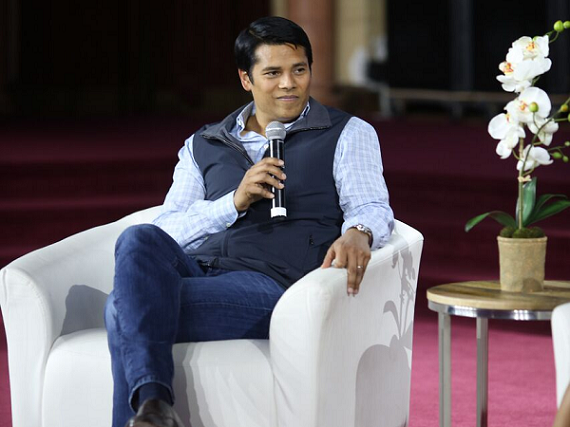 At Vator Splash Spring on Thursday, our founder and CEO, Bambi Francisco sat down with Nirav Tolia. Co-Founder and CEO of Nextdoor to ask him how the company is addressing such issues and complaints. Nextdoor has been implementing new features to try to combat the problem, so Francisco asked him how he decided the best way to tackle it. "The issue that we are trying to address is not really a Nextdoor issue, it's a societal issue. And that's the issue of unconscious bias, implicit bias, and ultimately making its way to discrimination and, in this case, racial profiling. 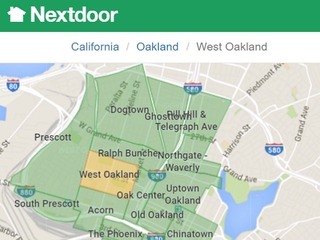 Neighbors use Nextdoor to talk about the things that matter to them in their neighborhoods, in some cases those things are crime and safety concerns. When they posted about potentially criminal activity, things they see that are suspicious, they need to do so in a way that avoids stereotyping entire races of people," he said. Over the last couple of months the company has been working with several community groups in Oakland, the Oakland Police Department, the Oakland City administration and a number of City Counsel members, specifically specifically Annie Campbell Washington and Desley Brooks. "We, together, created a series of product changes, or new product features, that really drive our members toward a responsibile kind of posting, and ensures that the dialogue that happens on Nextdoor is constructive and neighborly. Francisco asked him to clarify what the responsibility is for Nextdoor to fix this problem, and what the government's responsibility is. "As you said, it isn't really a Nextdoor problem; you are amplifying what's happening in the city," she said. "Nextdoor is a mission-centered company. The mission of the company is to use the power of technology to build stronger, and safer, neighborhoods. Discrimination of any kind, especially something like racial profiling, is completely counter to that mission. So ee do have a responsibility to look at things on our platform, and if they are counter to our mission, do something about them," said Tolia. "In regards to how much can we control, we can't control, broadly speaking, what people do in their neighborhoods, but we are a mirror of those conversations, in Oakland, and many parts of the country. We have over 60 percent of the countries neighborhoods using Nextdoor, and, in the top 100 cities, it's over 90 percent of those cities' neighborhoods. So we tend to be a mirror of the conversations that are going on in these neighborhoods, and we use technology to try to educate people and make them aware of things. Then we have a chance to, if not a small part of the solution, at least a positive force to move things in right direction." The problem first came to light in March 2015 with this Fusion article. The City of Oakland and NRJ became more involved after an EBX article came out In October. After months of product development, Nextdoor unveiled new features in January 2016. In January, the San Francisco Chronicle reported on a group called Neighbors for Racial Justice had been able to lobby Oakland city officials, including Councilwoman Annie Campbell Washington, to meet with company to discuss the potential issue after racially insensitive posts had been found on the site. A few days later, NextDoor unveiled new features including a form for posting criminal activity to neighbors, with prompts that they should lead with criminal behavior and include detailed descriptions; a racial profiling flag with feedback from the member who flagged the post; a mandatory warning screen that instructs members to “focus on behavior, not appearance” when initially posting in the Crime & Safety section; and training and education for Neighborhood Leads on the issue of racial profiling. The company also explicitly prohibited racial profiling in its guidelines. "Racial profiling or discrimination of any kind is antithetical to this mission. It has been incredibly painful to hear that some of the messages neighbors are posting on Nextdoor are having a negative impact on people’s lives," Nextdoor wrote. "Even though these kinds of conversations are rare, even one occurrence is too many – and we are committed to ending this destructive behavior on Nextdoor. We will continue to work on ways to educate members about what racial profiling is, why it is harmful, and how it will always be unacceptable on Nextdoor."